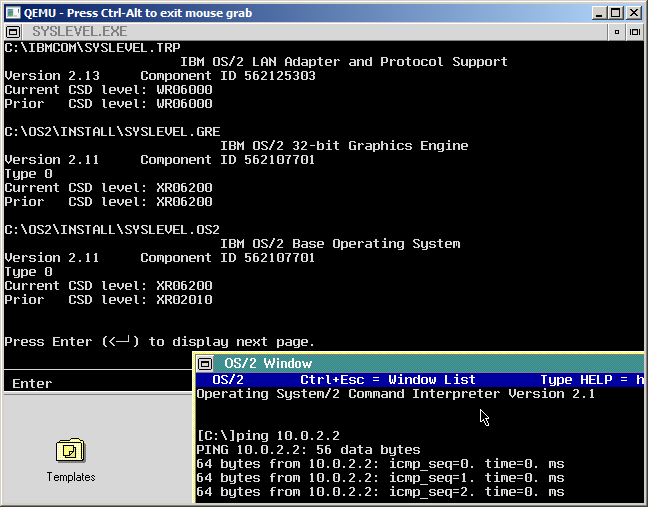 So I thought I could simply take my OS/2 2.0 install on Qemu with an ISA NE2000 and simply upgrade it to OS/2 2.1 and it’d work, right? Thankfully the NIF’s and OS2 bits work right so you can actually use LAPS to configure it, once you copy the NIF & OS2 files into the c:\ibmcom\macs directory. Don’t forget to patch OS/2 to 06200, and install u64092d to bring both OS/2 and the TCP/IP stack up to the last version… otherwise it doesn’t actually work. Great work on how you got networking to work under OS/2 2.1, Neozeed! If it is possible, can you provide a tutorial on how to install networking under OS/2 2.1 and 2.11 under emulators such as Qemu or PCem? yeah the installation is … not very straight forward. As much as people complain about Microsoft, they really got their stuff together for Windows for Workgroups & Windows NT. While all the components are there is MS-DOS & OS/2 the actual implementation leaves plenty to be desired. I agree. 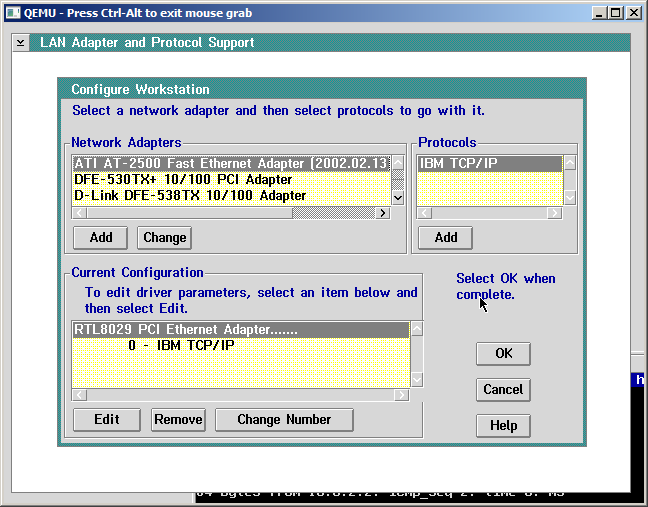 The installation of networking is indeed complicated and requires a lot of work to get things right. It’s gonna take a lot of work to for me to get networking working on OS/2 Warp 3 and earlier.